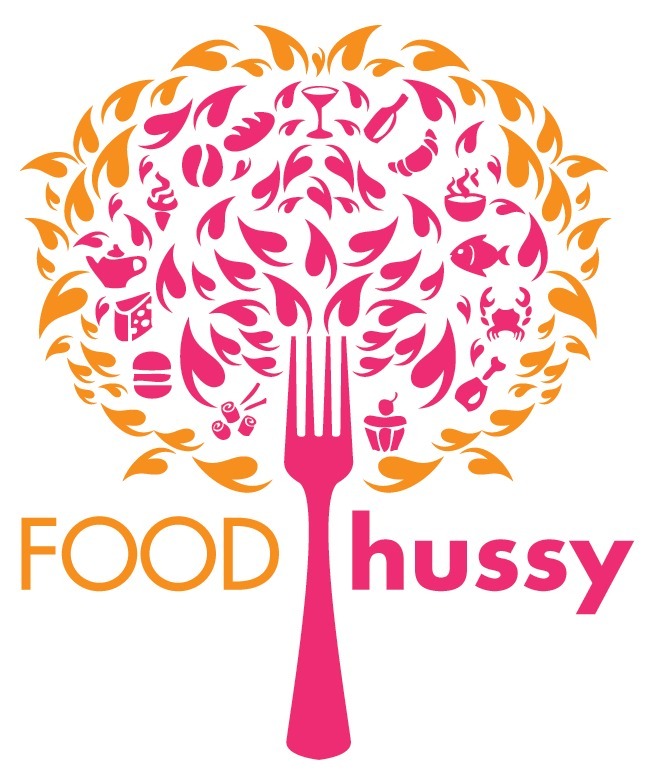 Restaurant Review: Lake Nina | The Food Hussy! You never know who you're going to meet and what their past is - it's one of the things that makes life fun! I was at a cooking class and met a woman who was asking me about my favorite places in the city - then she shared hers with me. 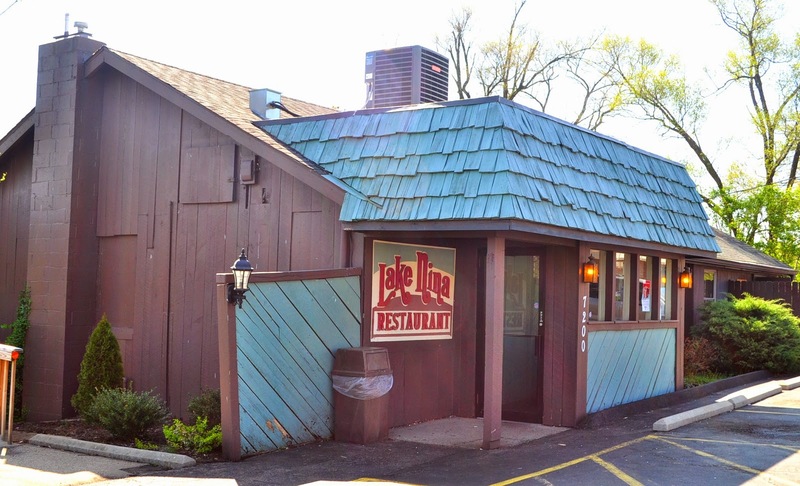 That's when she told me about Lake Nina (she pronounced "Nine-Uh") and said that she used to ice skate there and that I had to try their Fish Log. (What the heck is a fish log?) Turns out I drive by it every day on my way to work! Here's the lake in the back - it's really pretty. They have a large room that overlooks the lake. They started us out with rye bread and butter packets. I was trying to be healthy - so I skipped the bread. My husband enjoyed it. The server was friendly - we were there when they opened (actually stalking them in the lot for a few minutes) - and attentive as well. I had heard about the hot slaw so I was sure to order that as a side for my fish log. 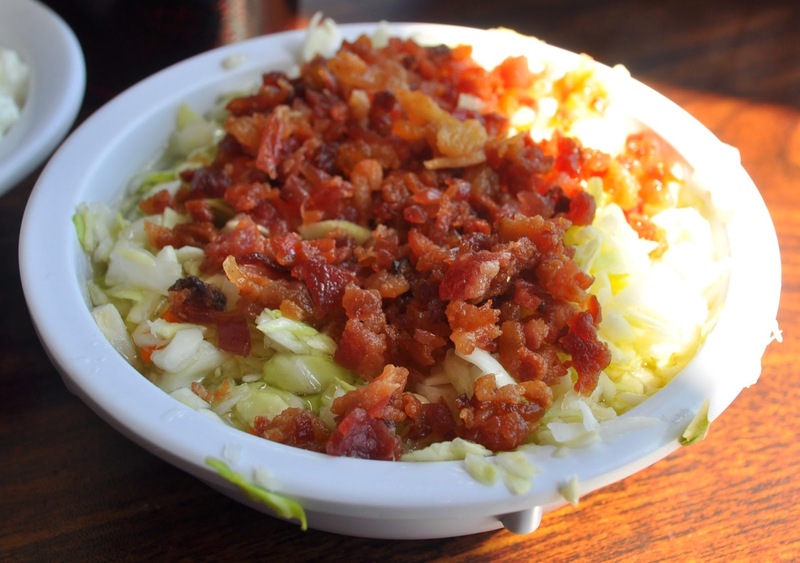 The hot slaw is cabbage and hot vinegar topped with bacon (and probably spices). It was pretty good - not the best I've had - but the best was probably some German lady serving it at a potluck in middle school. Larry was hungry for mozzarella sticks and they were standard but good. Big portion size though! 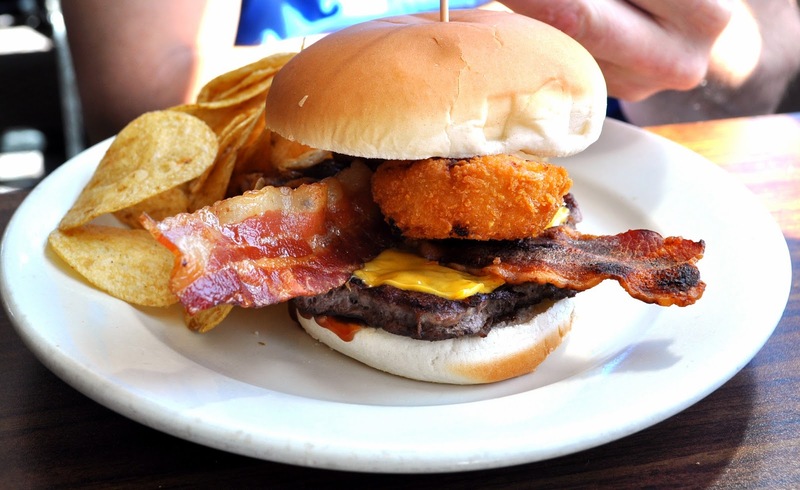 Larry went for a bacon cheeseburger with a big ol' onion ring on top. He reluctantly let me steal a bite and it was a GOOD burger! He had - as usual - made a good selection. I wasn't sure if I had. Oh yes - time for THE FISH LOG! So, as it turns out, a fish log is just fried fish! It seems like they take a couple of pieces and put them together to get the log shape. This is a CHILD'S size portion since I was trying to be as healthy as possible. I really liked the fish - there was not one drop of oil on my plate or on the fish! Come on - that is a definite rarity! 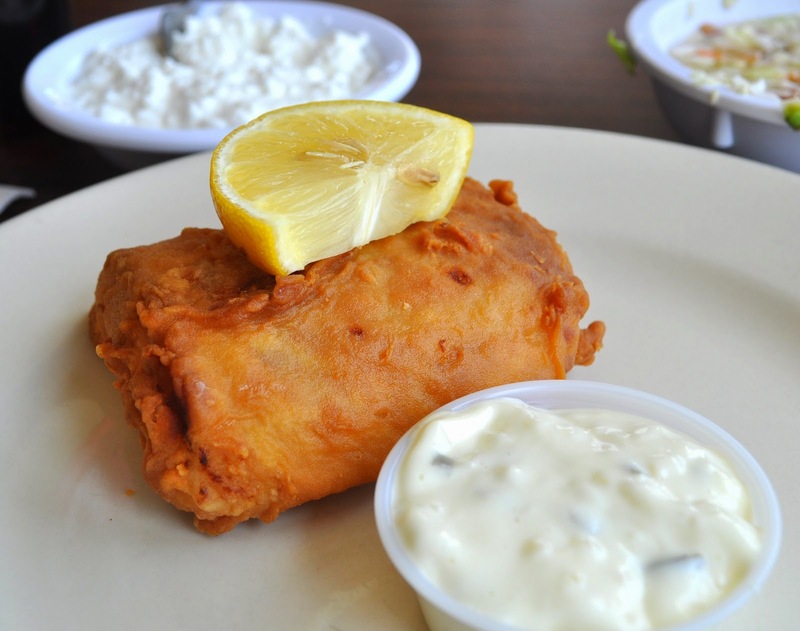 The fish was clean and light - I barely even touched the tartar sauce (unheard of!). Why Should You Go? All in all - my fish log adventure was a success! The burger was good too. They also have tvs and a bar in the front part of the restaurant if you're wanting to watch a Reds game.